Magnesium chloride pastilles are a spherical shape cut in half and flat on one side, similar to the candy called “Buttons” or “Dots”. These work very well with ice melt spreaders. Once applied, they can roll or blow off surfaces, but the flat shape on one side blows less than pellets and still interfaces with ice by boring into and down under the icy surface, creating a brine underneath. This makes for easier mechanical clearing by helping to loosen the bond of ice to the surface that is being cleared. 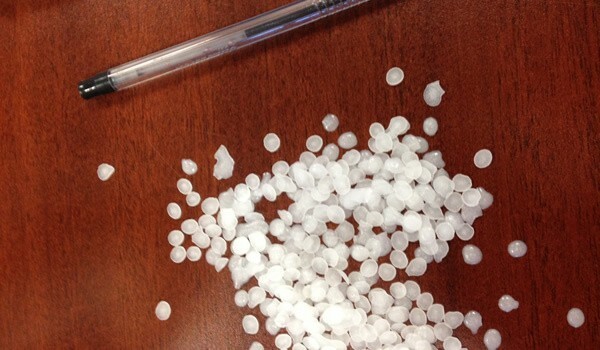 Similar to calcium chloride, magnesium chloride pastilles melt ice fast. 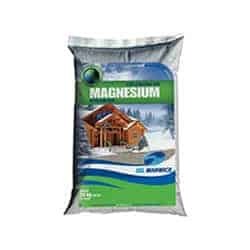 This is because magnesium chloride absorbs moisture (hygroscopic). This helps create brine faster which causes the melting of the ice around it. Unlike other ice melt chemicals, magnesium chloride ice melt leaves minimal to no residue which makes clean up easy and virtually non-existent. It is also safer for the environment because its chlorine content is lower than competitive products by at least a third. With exothermic action, Magnesium chloride pastilles melt ice in conditions as low as -13°F and it works fast – In tests at 21°F, within 15 minutes of application, Magnesium chloride melted twice as much ice as rock salt.